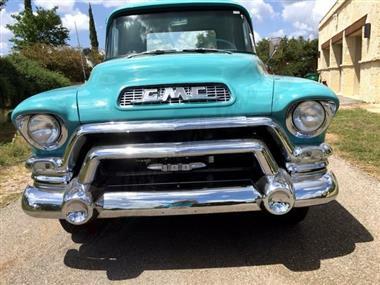 1955 GMC Other in Arlington, TX for sale. 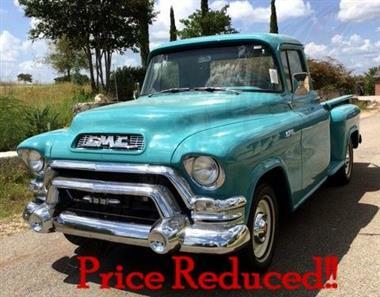 1955 GMC Pick Up This 1955 GMC Y Series 100 pick up is a really nice truck with great style. The history of the vehicle is somewhat limited but it does appear that it has been restored at some time in the past. That or it has been extremely well cared for. Coated in a nice Turquoise paint the truck really has that 50s look. The paint has a nice finish and is combined with all of the original chrome and trim pieces. The original style side mirrors are mounted to each side and all of the glass is in great shape. 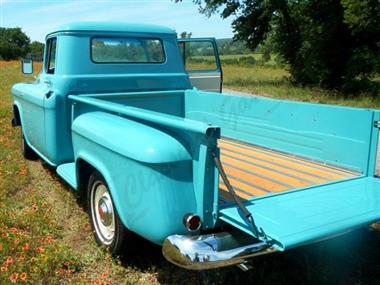 One of our favorite features on these old trucks always ends up being the wood bed and this one is in good condition. The wood has a sealed finish and are separated by the original style stainless pieces. The wheels are the original steel wheels painted in White and topped with GMC hubcaps. 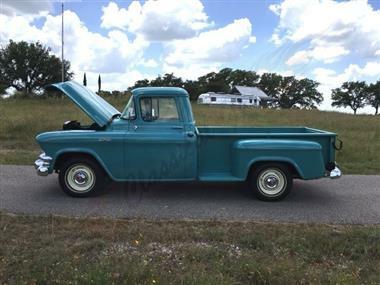 Powering the truck is the original straight 6 cylinder 248c.i. motor. 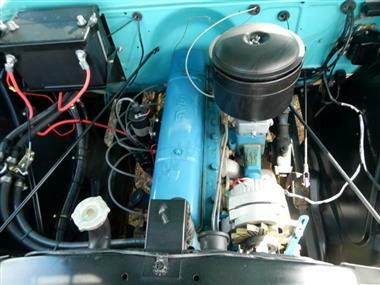 Under the hood you will see typical signs that the truck was driven but for the most part it is extremely clean. Everything has a nice painted appearance with cleanly mounted parts. 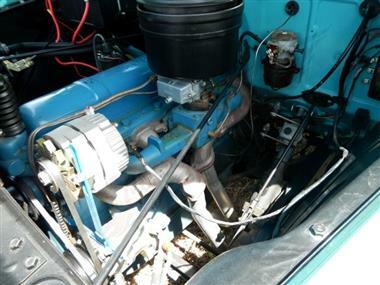 The engine is backed by a 3 speed manual transmission that moves through the gears well. 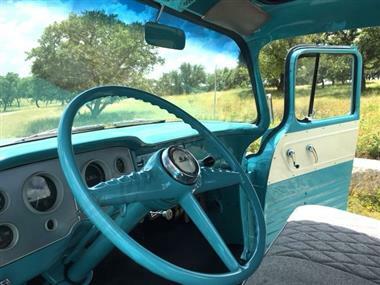 The interior utilizes Gray cloth upholstery with the dash and doors all being painted to match the body. A white stripe accents the doors and creates a nice contrast. The steering column is also painted Turquoise and it has a 3 on the tree column shifter. 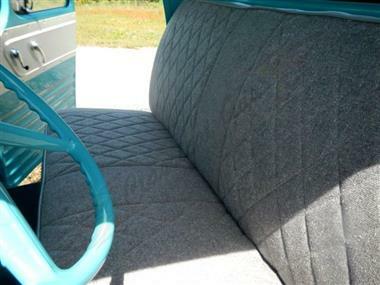 The bench seat is in great shape and topped with the Gray diamond stitched cloth. The dash features a lot of the original knobs, switches and gauges in their original housing. Even the original Motorola Volumatic AM radio is still there! Other nice features include the underdash AC unit which blows cold. If you like classic pick ups this is definitely one you should check out. Get it while you can for $39,250.00! NOW REDUCED DOWN TO $34,900.00!